I wrote last month [October 2015] about the Roman site in Wall and the charm of this small village three miles south of Lichfield. In my monthly column in two diocesan magazines, I told the story of this small village in rural South Staffordshire, and how it developed on the site of Letocetum on the old Roman road of Watling Street. Wall is a charming village, and two of us had been walking in the countryside outside Lichfield, through Wall, Chesterfield and Shenstone, on a summer afternoon earlier this year. To illustrate my column, I also used a photograph of the former telephone kiosk in Wall, which has been turned into a small lending library by local people. Now, many weeks later, my story has been taken up by a local newspaper, the Birmingham Mail, where Cathrina Hulse told the story yesterday, claiming this is Britain’s smallest library. A Facebook friend drew my attention last night to the report in the Birmingham Mail yesterday, which quotes the chair of the parish council, John Crowe, saying the old telephone kiosk now rivals the village’s Roman ruins as a tourist attraction. The red telephone kiosk was designed by Sir Giles Gilbert Scott and from 1926 on it was a familiar sight on streets throughout England, becoming a British cultural icon. However, the production of the traditional boxes ended in 1985, and they have started to disappear with a change in habits and the popularisation of mobile ’phones. During a visit to Cambridge earlier this summer, I noted how little-used red telephone kiosks have been adapted for interesting uses throughout England. Returning by Hills Road to the train station in Cambridge, I had a Wonderland moment when I stopped to look at the old telephone box outside the estate agents Strutt and Parker. “The first game of Association Football was played on Parker’s Piece in Cambridge” – the Cambridge University Rules were adopted by the Football Association in 1863. “Cambridge has the highest level of cycle use anywhere in the UK with 25% of residents travelling to work by bicycle, with 47% of residents travelling by bicycle at least once a week” – which might explain why I almost got myself run over a few times yesterday when I stopped off the footpath in King’s Parade, Trinity Street or Sidney Street. Now the Birmingham Mail that disused boxes are finding “wacky new uses to save them from being scrapped.” It reports how earlier this year a local entrepreneur, Jake Hollier, launched a coffee pod in a box in Birmingham city centre. In Brighton a box has been converted into a tiny café called Red Box Coffee, while another is an ice¬ cream kiosk. And some of London’s disused kiosks have been painted green and converted to free mobile phone chargers named solarboxes. 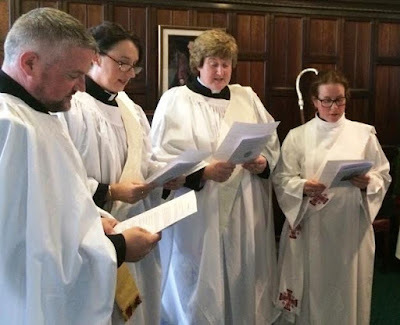 The September ordination season in the Church of Ireland reached its conclusion this year with the ordination of two new deacons and four new priests in Christ Church Cathedral. 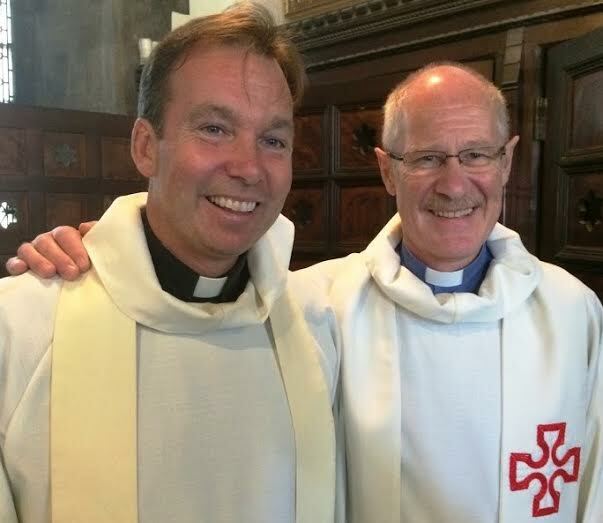 The Revd Nigel Pierpoint and the Revd Ross Styles were ordained deacon in the cathedral on Sunday 20 September. Nigel, who lives in Killiney, is now serving as a deacon intern in Taney Parish while he completes his dissertation over the coming year. Ross, who had long associations with Saint Patrick’s Cathedral, is spending two years in Greystones while he works on his dissertation. 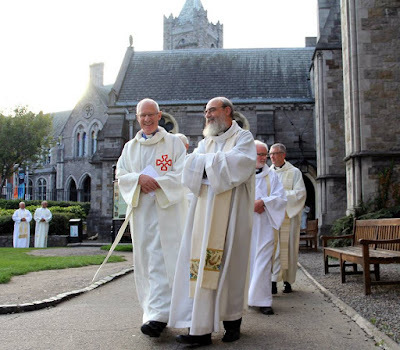 The Rector of Greystones, the Revd David Mungavin, was the preacher at the ordination of the two new deacons. Both have close family connections with Christ Church Cathedral: Nigel is a brother of Archdeacon David Pierpoint, while Ross is a grandson of Canon Norman Styles (1927-1987) of Donoughmore, who was a canon of the cathedral until he died in 1987. 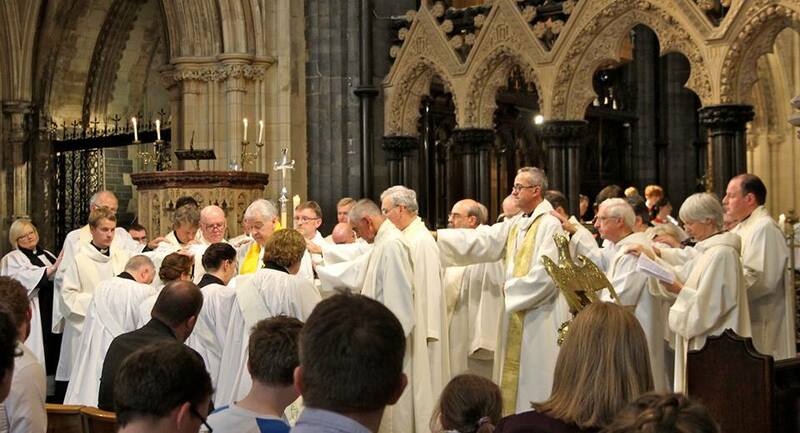 On the following Sunday, 27 September, four priests were ordained in the cathedral by Archbishop Michael Jackson. The Revd Alan Breen is to serve as a curate in Saint Patrick’s Parish, Greystones. The Revd Cathy Hallissey is the new curate in Taney. The Revd Ruth O’Kelly has been appointed curate in Rathfarnham Parish. The fourth new priest, the Revd Abigail Sines, becomes the new curate in the Christ Church Cathedral Group of Parishes. The preacher at the ordination of priests was Canon David Moynan, Rector of Kilternan, where Cathy had spent her year as a deacon intern. But if this was hello to two new deacons and four new priests, the ordinations were a time to say farewell to two canons of the cathedral. This was David’s last Sunday in Christ Church Cathedral as Prebendary of Saint Michael’s. He had been a canon of Christ Church since 1998, but at the end of September he resigned as Rector of Kilternan and stepped down from the cathedral chapter. He has since moved to New Zealand. It was also Canon Peter Campion’s last Sunday in the cathedral as Precentor. He has been appointed Precentor of Saint Patrick’s Cathedral in succession to Canon Robert Reed, who died earlier this year. Peter was installed in Saint Patrick’s the following Sunday. 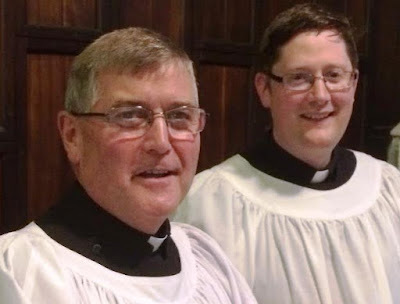 Both David and Peter are former curates in Taney Parish, where Cathy and Nigel are going to serve in this new stage of their ministries. 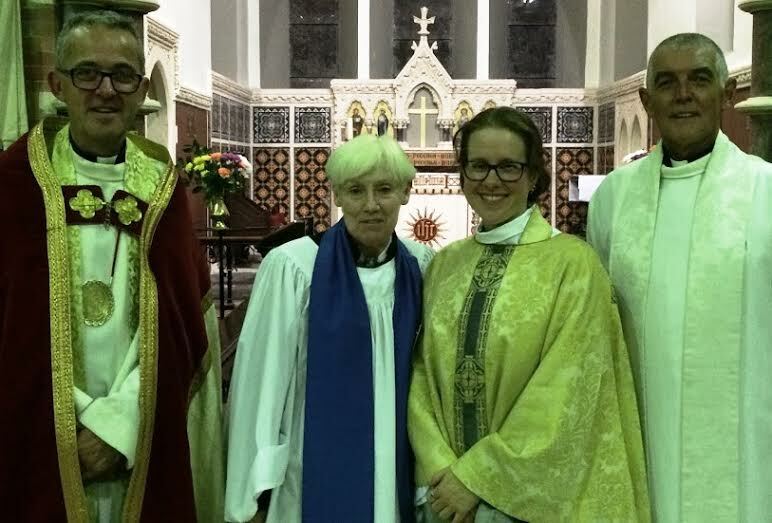 Two days after her ordination, on the Feast Day of Saint Michael and All Angels, the Revd Abby Sines was introduced to the cathedral group of parishes by Archdeacon Pierpoint when she presided for the first time at a celebration of the Eucharist in All Saints’ Church, Grangegorman. The preacher at the Choral Eucharist that evening was the Dean of Christ Church Cathedral, the Very Revd Dermot Dunne, and reader Helen Gorman also took part. L-R The Revd Alan Breen, the Revd Cathy Hallisey, the Revd Ruth O’Kelly and the Revd Abigail Sines with the Archbishop and the Revd Stephen Farrell (Diocesan Registrar) making their declaration prior to their ordination as priests.